I posted a series of photos earlier this year of my walk through the RAF Museum in London. There, I uploaded a variety of pics of some of the highlights of the amazing collection. World War II Airplanes Anyone? While going through my hundreds of photos the other day, I realized that some of the airplane buffs might enjoy seeing some details of one or two of these magnificent creatures. 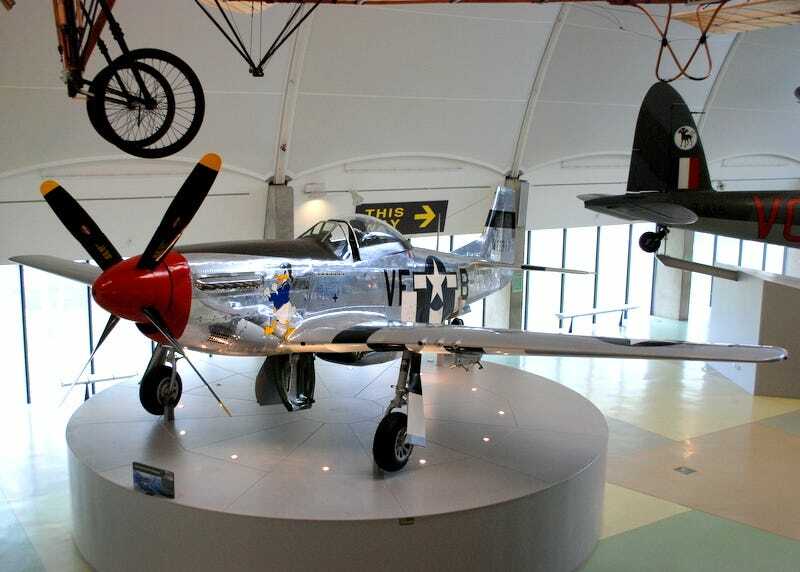 So, I give you photos of a gorgeous P-51. I do not profess to be an aviation expert so I won't hit my keyboard a lot more beyond this point. Just enough to separate the pics. I shot these in pretty high-res, so I can also do details if you like.